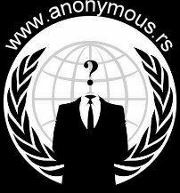 Anonymous hactivists hacked the official website of United Nations in Serbia(rs.one.un.org/) and setup a redirect to their facebook page. They also leaked the compromised data in pastebin. According to CyberWarNews, the website is redirected to the a facebook fan page (http://www.facebook.com/anonymoussrbija). At the time of writing this article, it does the redirection to facebook. It seems that United Nations websites are under cyber attack; Earlier today, the TurkeyCyberArmy defaced the United Nations in Armenia.